Nobody wants to be audited by the IRS, period. Although only about 1% of taxpayers actually get audited each year, many worry that this year may be the year that they get chosen for an in-person meeting with an IRS agent. Audits are not chosen at random willy-nilly, but rather by a computer-generated score given to each return by the IRS. Scored by their “discriminant function” system, or DIF, the computer takes into account common variables that may show a need for an audit. Once picked for an audit, an actual human agent takes a look at the return to determine if it is truly necessary or not. Don’t ever lie about your income. Ever. 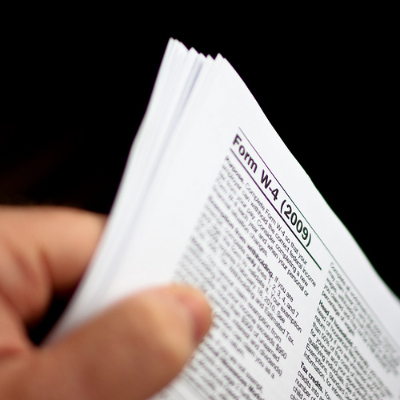 The IRS receives copies of your W-2 or 1099 forms just like you do, so they can verify your income claims (or missing amounts) on your return. If you still write out your return by hand, write legibly. Bad handwriting could trigger a nice letter from the IRS asking you decipher your own words/figures. Do not exaggerate deductions or write-offs. This is almost a guarantee that you will be audited, if your deductions or expenses you are trying to write off are excessive. If you have an actual home office, go ahead and claim it as such. But if your “home office” is actually your dining room table, do not even try to claim it. Make sure that’s the room you do work from and it isn’t used for any other purpose. When doing your own taxes, have someone else check the math for you before you submit it. No, you don’t have to give a complete stranger access to your info, but asking your brother or a close friend to take a look can’t hurt any. File on time. Nothing calls attention to a return like a return filed late. Can’t get it in on time? File an extension. Basically, file something…anything. Use a well-known tax software to do your return. “Joe’s Big-Money Tax-Avoidance Software” from your local PC store isn’t viewed the same as a Tax-Cut or TurboTax. If in doubt, find out. When you aren’t sure about a deduction, expense, a claim, or whatever, find out before just putting it in your return. Have something potentially confusing on your return? Attach a note from yourself to the IRS explaining it. My mom did this one year with no problem at all. Make sure your State and Federal returns match up. Your income, etc. should be exactly the same on both returns, and if it isn’t you could be audited. Report only legitimate losses. Never overestimate losses and be sure to have paperwork to back up your claims. Claiming too much in charitable donations can trigger a red flag. Remember when I said my mom sent in a note with her return? It was because of a large amount of donations stemming from cleaning out some rooms in the house. The note explained why there were so many donations. Save everything. OK maybe not everything, but keep backup documents for three years and tax returns for seven. Keep in mind that large changes in income from year to year can send an agent your way. Make $100,000 last year but only $19,500 this year? Better have some documented reason why, lest the IRS think you are hiding income. Well, there you have it — some reasons why your tax return may trigger an IRS audit. Have you ever been audited? Have any other advice for the readers? Please share in the comments! This year we did fertility treatments and have about 30K in medical expenses, we have documented all of them, however I am afraid this will trigger an audit. Has anyone claimed medical expenses before? Does this put us at higher risk for an audit? I would love to “attach a note” (#9) to explain. Can you do that with turbo tax? I think that people have such a fear of being audited, that they don’t take advantage of all of the tax breaks, especially with home business tax deductions which can potentially save people thousands of dollars every year. Just be sure to properly document your legitimate tax deductions and you shouldn’t set off red flags. The dreaded audit! Thanks for the great tips for avoiding red flags. The government gives so many tax deductions to home businesses, that it’s crazy not to leverage them to reduce your taxes and increase your income. Tax trainer Sandy Botkin has some great courses on proper documentation, so that you’re audit proof. I totally got audited for #12. I’d been making contributions for years and rolling them forward (my income was low as a student). Then I graduated, got a job, and claimed a bunch at once. Hello, letter from the CRA. It was fine because I had the documentation, but it was a stressful day digging it all out and sending off for verification. Most CPAs and attorneys will tell you that #9 is the wrong thing to do. The additional statement can’t be interpreted by the IRS computer system and thus an individual agent HAS to look at your return. It often draws unnecessary attention to your return. And if an agent reviews your return, he looks at all of it, not just the comment you added. Furthermore, adding an explanatory statement makes it look like you are covering something up. It’s similar to your kid coming into the room and immediately telling you all the good stuff that they did that day. It only takes a second for you to say “okay, what did you break”? The rest is great advice. 1. Mail them the medical statements or reciepts showing I paid off my part. 2. Print out my insurance report for that year showint the total billed to them (this is to ensure you did not get re-imbursed). 3. Printed out my pharmacy report for co-pays on RX meds. It took six months to clear but that was it. I agree. I reside in the UK and falsifying information for tax assessment purposes is a stupid idea, and only brings short term gain. Most people get found out in the long term. It’s not only about that but in the current financial climate it’s morally wrong to avoid taxes that you really should be paying to support the economy.